When talking about sports there are always certain qualities that stand out for the top performers. We were amazed by Tiger Woods' focus on driving distance. The iconic college basketball coach, John Wooden stated that he loved to work with speed because it never went in slumps. And Wooden liked to push the tempo and press in basketball. When I was in Malaysia for the Penang Junior Open it was evident that pace was a major factor for each of the age groups. When someone is young they normally struggle with pace as their racquet coordination and court coverage (speed, strength and anticipation) aren't fully developed. Clearly pace is an important asset which got me thinking about what are the other strengths in our game. Not everyone is built or has the ability to overhit their opponent. So today I will get into the 6 greatest strengths a squash player can posses. If you want to improve your game spend some time working on one or more of these areas. Pace: Eventually pace will not be enough to win at the highest level. Everyone can hit it hard and handle pace. It makes a big difference in the speed of the game and the bounce of the ball. I can't think of any other sport that the bounce of the ball is so dependent on how hard and frequently the ball is struck. The reason I don't like coaching people to hit everything hard is that it creates tension in their arm and normally this style of player has a poor short game. Hitting everything hard also means you have less time to get back to the T and physically it takes a lot out of you. So I prefer picking my spots to inject pace, but that's what works for my game, it could be completely different for you. Plus how often does Cameron Pilley hit the ball as hard as he possible can? Probably very rarely if ever (unless there is a radar gun nearby). Speed: just as Wooden exclaimed about basketball, I agree that speed is a major asset in squash. Certainly you look at players like Miguel Rodriguez and you know this is a huge factor in his success. Speed allows you to get on the ball early and retrieve more shots. Of course you need to have the aerobic stamina to keep your speed up throughout the duration of a match. Attacking/'Hands': someone that can attack well from anywhere in the court can be extremely difficult to play against. Even after serving you are uncomfortable. There is little rhythm and you are repeatedly having to be on guard while on the T and having to make hard lunges into the front corners. Some people have superb racquet skills. If you're not one of them you can always improve this area of your game, but you will likely never become a shooter. Consistent: if you aren't especially quick, or hit it hard or have A+ attacking skills you almost certainly have to be consistent and grind out your wins. I always think of Peter Nicol (pictured below) when I talk abut this. Of course Nicol had good shots and was smart, but he was so consistent. A big part of doing this well is containing your opponents, hitting the ball tight, taking away angles and being fit and mentally tough. 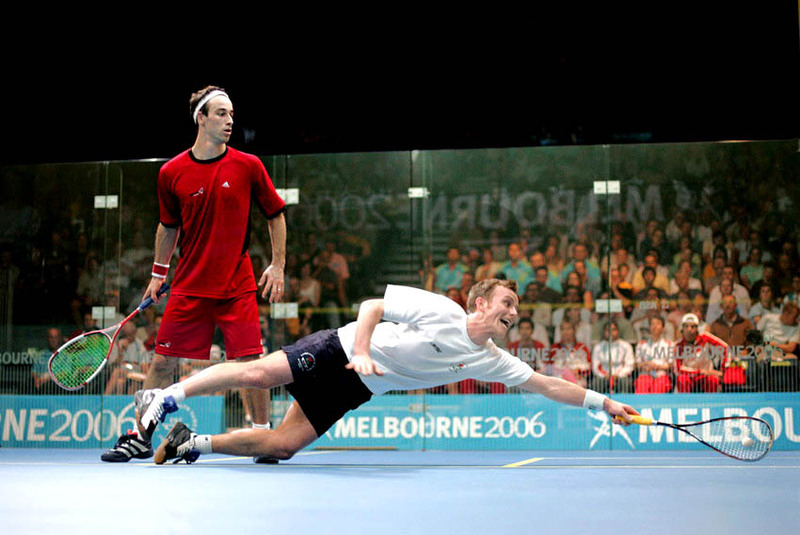 If you're not a supreme athlete you will likely have the most success playing this style; taking minimal risks and making very few unforced errors. If you are a consistent player you will need to have a high level of aerobic fitness because you will like have to have long points and wait for easy openings and errors from your opponent to get your points. Smart/Experienced: we have all played someone that just makes more good decisions then other opponents. Some people get stuck playing in a receptive pattern and hope this is enough to win. 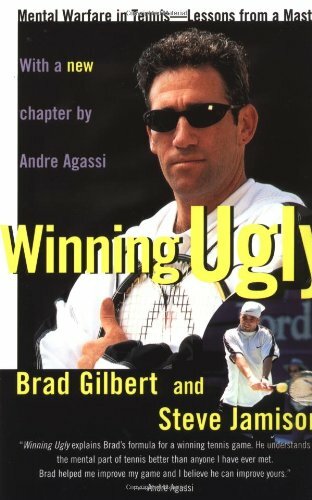 If you've read Brad Gilbert's Winning Ugly (pictured below), you will know that tactics are underused in racquet sports and are essential to becoming a champion. If you watched Canadian tennis player Vasek Pospisil at Wimbledon recently you would have noticed him looking over notes during his match about his opponent. He may have a plan B or C, or maybe this is to refocus his thoughts on his strategy if it was starting to wander. I'm surprised more players don't do this. Especially seeing that they are not allowed to receive coaching during a match. Some people have a natural instincts and are very tough to play against. A smart player will know how to expose your weaknesses and play into theirs. They will be able to play a variety of styles and are always a tough opponent. This style of play is encouraged through decision making practice. If you're interested more in this you should check our Dr. Joan Vickers book Perception, Cognition, and Decision Training (pictured below). 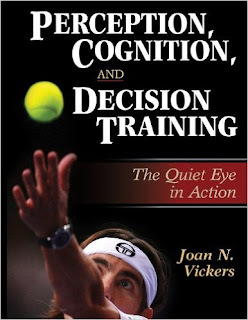 When reading this book I really thought all practices should be open and random, but have since learned the importance for blocked practice and repetition which allow you to acquire new skills, groove a swing path and boost your confidence. Finding the right balance here is what's crucial. Mental Strength: some of the toughest matches I've played have been against mentally tough opponents. They may not have the smoothest technique, but they are super competitive. These players are normally consistent, but there are exceptions. Playing a mentally strong opponent means they never give up, no matter what the score. This style of player runs down every ball and gives max effort. This type of person plays better in competition then they do in practice. It's hard to measure someone's mental toughness and compare to another person, but this skill is necessary to become a successful pro. I always think of Tiger Woods (in his prime) and Rafa Nadal when I talk about mental strength. In squash I feel that Nick Matthew, Nicol David, and Mohamed Elshorbagy are the most mentally tough on the circuit these days. So which area is your strength? If you don't fit into any I suggest you focus on becoming consistent. It's hard to beat someone that doesn't beat themselves. This depends on not only your current skill set and levels, but on how you enjoy playing. How do you envision yourself playing in the future? If you hit it hard and this is your strength, what happens when you come up against someone that hits it harder or can handle your pace? Same goes for speed. This is why at the highest level most players will be highly skilled in all 6 areas. There are other areas that are important for competing at a high level, but I feel these are the most crucial. Aerobic fitness is right up there, and unless you are a shooter or extremely smart I think that's just a necessary skill, but without something else it will never be enough to win on its own. Lastly, just because you are really strong in 1 category this doesn't mean you shouldn't try and expand your strengths and improve in another. We can all improve our pace, shot selection, mental toughness, attacking skills, consistency and to some extent our speed. Good luck!